School's out for summer. School's out forever! No more pencils. No more books. No more teachers, dirty looks. Every year my kids jump off the bus for the last time and Alice Cooper's song pops into my head and I watch them in slow motion as their overstuffed backpacks threaten to make them topple over or at least have back problems in their twenties. Then it sets in that summer is really happening and I start to worry. How can I sustain the progress we have made this year and not undo all the learning they have accomplished so far? The summertime gap is a real thing. After teaching in public schools for ten years I can honestly attest that a child's summertime brain. In art, kids would forget the basics like what two colors make green. If you were a child in the nineties the Glad-Lock zipper bag told you that yellow and blue made green and it is so ingrained in my head that I shudder every time someone forgets this most basic knowledge. Summertime can be a dangerous time for kids as their brains become addled with marshmallow cereal and too many hours fixated on mindless entertainment like Minecraft. I don't know about you but I'm starting to see everything made out of pixels. Summer is a perfect time to help them flex those minds. Our children's brains are like muscles, they need to keep using them if they want to stay in shape. Screen time is okay as long as they aren't going overboard with the amount of time they spend on it and what they are playing on it can make a difference. Apps like AppTutor focus on one of the most basic skills both of my elementary kids struggled with, multiplication tables. There's no getting around it, practice with these tables is the only way to ensure that your kids just know their math facts which will help them in the long term and get them ahead of the game when school starts. Making educational apps a requirement before any recreational shows can be watched will give kids the incentive to practice. Under My Verizon, parents can limit content, certain sites, and set parameters around how media is used in your household. The main way that you can control this is through Parental Controls for your FiOS TV. With Parental Controls you can use ratings to block what content can be viewed, use age preferences to block content for a particular age group, control the display of adult programming and information, block specific channels, and block access to widgets that have potential harmful/private content (such as social networking Widgets for Facebook and Twitter) Of course, the best way to avoid needing all these safeguards is by talking with your children about what is appropriate and what isn't around their use. Communication about their use should be an ongoing thing. Have you ever been somewhere and wished that there was an app for making your life easier in some way? So many apps that exist now have come from this very idea that if there is a real need for something and it can be designed and implemented, it could change people's lives. My kids are constantly coming up with creative ideas about how the world could be a better place if only.... Verizon takes that one step further with the Verizon Innovative App Challenge. Kids everywhere are creating apps that are changing lives like the teens of Tri-Tech Skills Center who designed an app that helps teens suffering with anxiety and depression. 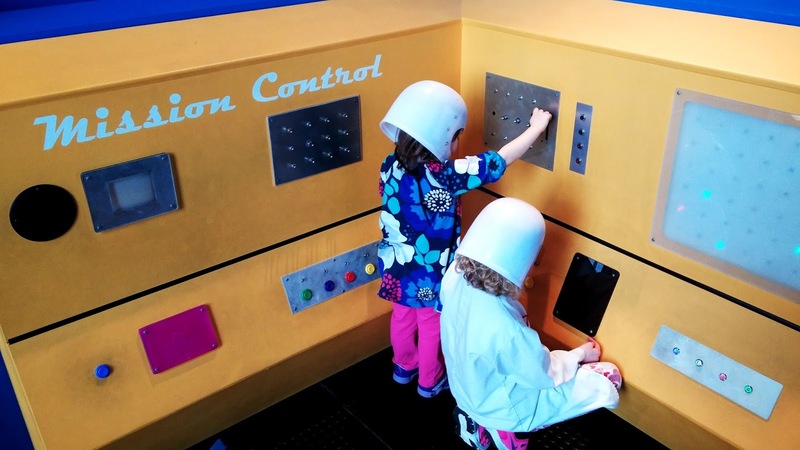 Open ended apps allow for a multitude of opportunities for children to explore and discover on their own what will happen if they try something new. For this reason, our family always downloads Toca Boca apps using Verizon's FiOS internet service. 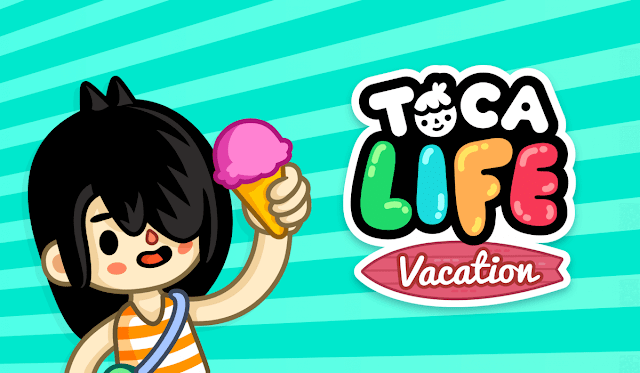 Toca Boca Life - Vacation edition is a great app for all the things you do with the kids over the summer. The kids can interact with millions of characters, locations, props and objects within the game and explore the mini world. Do yourself a favor and play with them. Have them show you what they created or discovered and talk about the process. They may not know it, but your interaction with them is building their confidence and verbal skills along with their eye-hand coordination. The summer is full of adventures and sometimes it can be overwhelming remembering everything you did. If you are spending time with the kids somewhere, have them journal about their time there. Have them draw pictures of the things you did that day so that they take the time to reflect on it. Take photos with a camera or tablet that you take with you. When you come back, compile it together in a family travel blog or share your adventures via social media with your loved ones. A project like this that gets everyone involved teaches kids about collaboration and working with a group even if one their the members is their yucky brother. With fast download and upload speeds using the FiOS Quantum Gateway, sharing all those great pictures your kids took will be a snap.